Cool off with the Wahu Mermaid Cove range this summer! These awesome new prints feature on the Swim Vest ($39.95), Heart Float ($24.95), Beach Ball ($9.95) & Hop N Splash ($29.95) and make for the perfect mermaid inspired summer accessories! 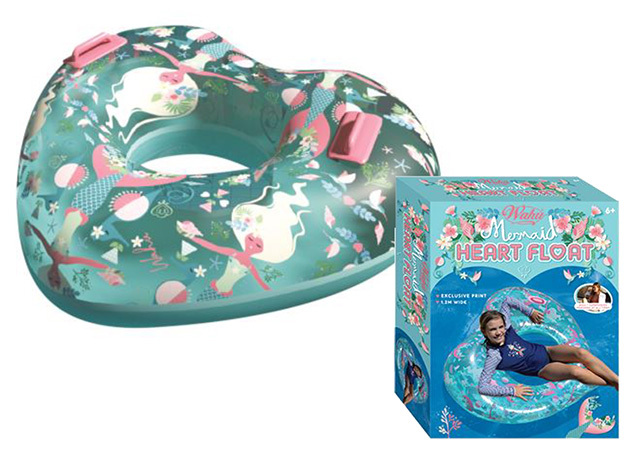 Little girls will love our new, exclusive Mermaid Hop'n'Splash. The build-in sprinkler system will keep the kids cool while playing the classic game this summer. You'd better hop inside the circle or you will get hit with a blast of water. Review: Wahu Heart Float, making Christmas dreams a reality. Wahu is bringing back the classics with backyard entertainment ideas for summer like Hop 'n Splash.